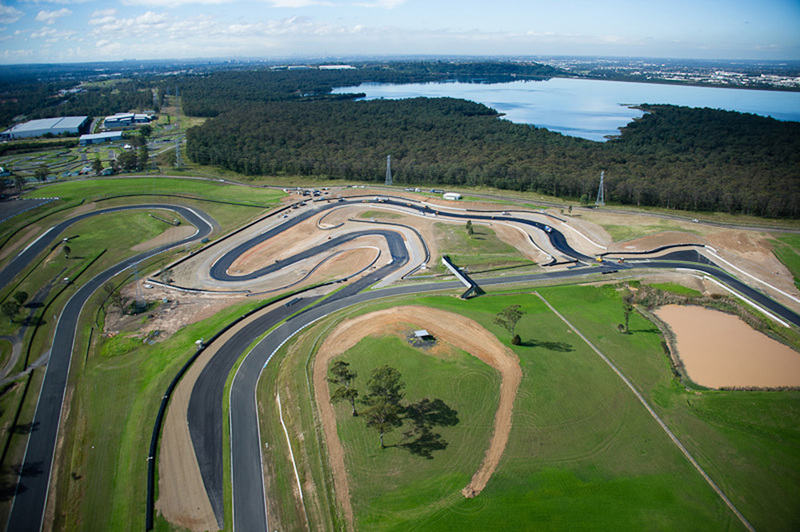 After many months of work and preparation, Eastern Creek’s $12 million transformation has been completed and officially launched, and one of Australia’s motorsport icons has received a new name to go along with its groovy new digs. 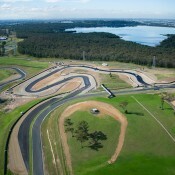 Sydney Motor Sport Park, as it will henceforth be known, will play host to the 2012 Tasman Revival, and we can’t wait! The HSRCA will be heading there in a month, on the 30th of June and 1st of July, for our All Historic Winter event, so stop by and check out all the action on the new long layout! 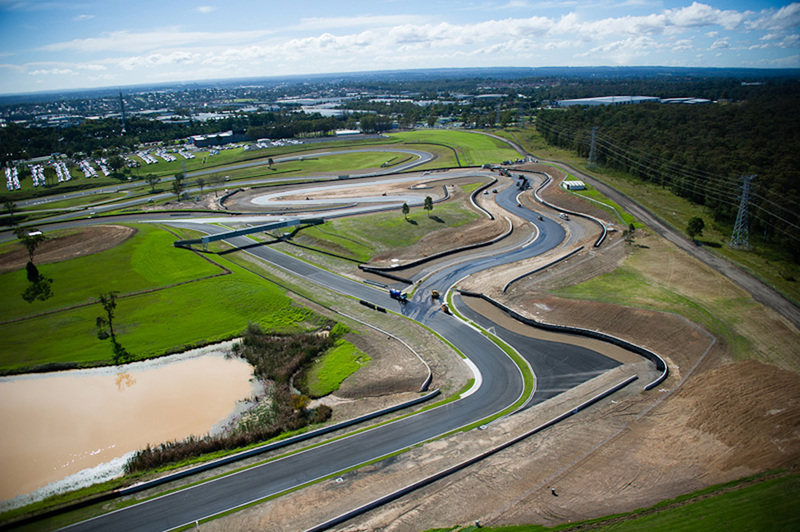 Sydney’s Eastern Creek Raceway has been rebranded following a $12 million transformation, including the first new race circuits in Australia in a decade, upgraded pit facilities and the near doubling of capacity. 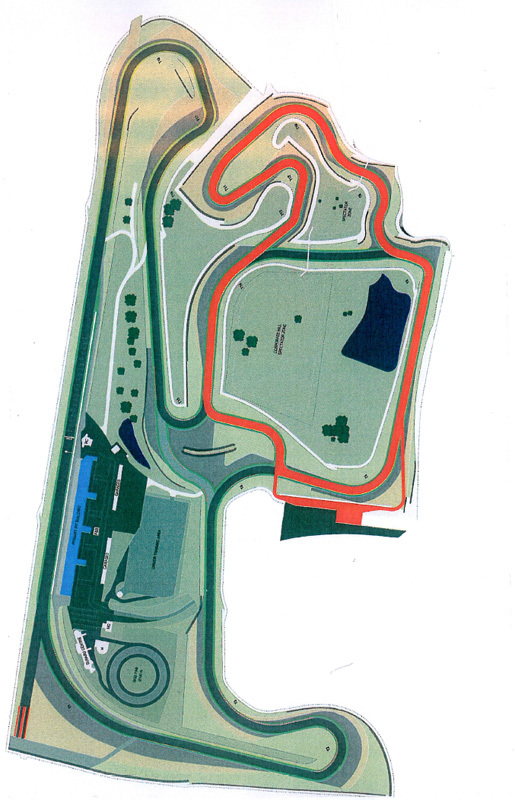 From today, Eastern Creek Raceway will be known officially as Sydney Motorsport Park, reflecting the facility’s significant physical and operational transformation. Funded in a joint partnership between the NSW state government and official venue manager the Australian Racing Drivers’ Club (ARDC), the facility has undergone a complete change in operations and aesthetics. 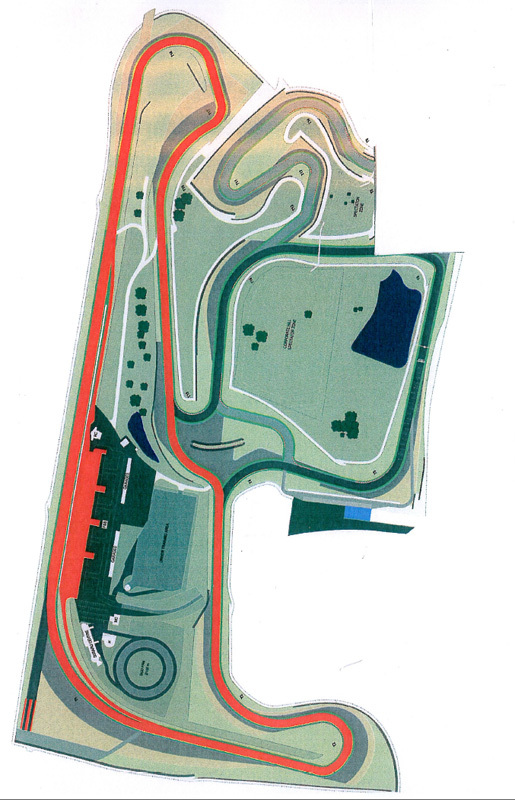 As part of the ARDC’s long-term strategic plan for the facility, the rebranding coincides with the official opening of an 830-metre extension of the existing Grand Prix circuit. The resultant 4.5km Long Circuit will provide a new challenge for competitors while offering new and fantastic spectator vantage points. ARDC CEO Glenn Matthews said that the name change was the next important phase of the transformation plan and positioned the facility as a truly international operation. “Firstly, I must thank the NSW state government for embracing our vision, their passion for the venue and for their decision to continue their contribution to the future of motorsport in NSW,” said Mr Matthews. 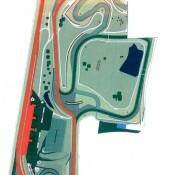 “What we have in Sydney Motorsport Park is unique in Sydney, and indeed NSW. 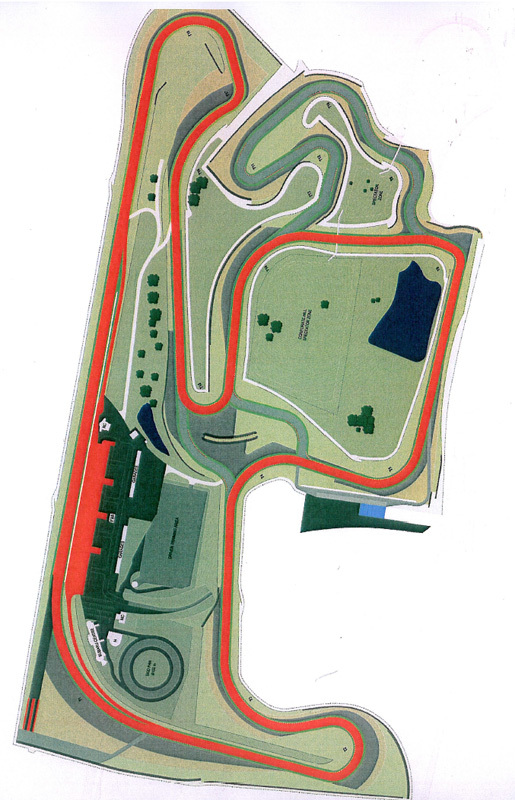 It is the only permanent race track in the Sydney basin, and as a result the decision was taken that its name should reflect this. Work on the new pit lane structure and control tower to service the separate south configuration is underway on land adjacent to turns four and five. 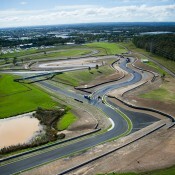 This new complex will allow Sydney Motorsport Park to hold two race meetings, and multiple experiences simultaneously. The existing pit lane and paddock areas are also undergoing refurbishment, which will be completed soon. 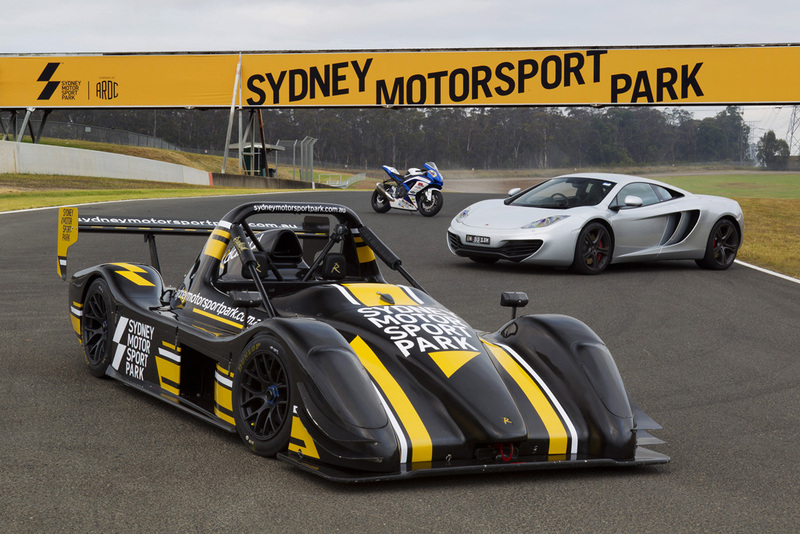 “We have experienced a spike in demand over the past two years, and all of these changes and upgrades have been made in order for us to be able to properly service Sydney’s motorsport public,” Mr Matthews said. “Much has been done, and we are committed to completing a whole lot more. The ARDC has also worked hard to change the way we operate as a part of this transformation. “We no longer see ourselves as just a track-for-hire operation, but rather a strong, flexible and willing partner to all those involved in Australian motorsport. Together we want to create the best environment for all of our stakeholders, be they racers, or race-goers. 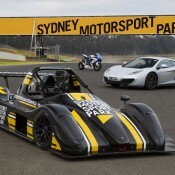 “Apart from yearlong racing, Sydney Motorsport Park offers a dynamic range of motorsport experiences for the enthusiast, with track days, motorcycle ride days, V8 racing experiences, Radical race cars, classic and supercar experiences and much more,” Mr Matthews added. The ARDC will also offer a comprehensive range of driver and rider training and safety initiatives. 2012 is a significant year for the ARDC as it celebrates its 60th anniversary. 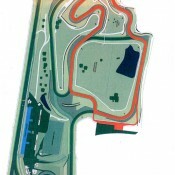 The club will mark the milestone by hosting major events such as round nine of the 2012 V8 Supercars Championship in August and the eighth annual Muscle Car Masters on Father’s Day. 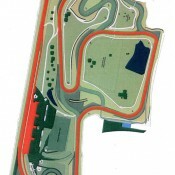 ARDC president Andrew Leithhead said the major facility changes were to help both the ARDC and Sydney Motorsport Park prosper well into the future. “We are extremely proud of our long and distinguished history, but looking towards the future we have made these changes to ensure that the ARDC and Sydney Motorsport Park brands remain strong and relevant for a very long time,” he said. 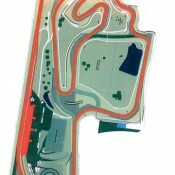 This entry was posted on Tuesday, May 29th, 2012 at 5:13 am	and is filed under News, Tasman Revival and tagged with 2012, Sydney Motorsport Park. You can follow any responses to this entry through the RSS 2.0 feed.